However, if you need full-time care, the first thing your local authority/Social Services is likely to ask you about is your financial position. You may have been told that if you have savings/assets over the current thresholds, including the value of your home, you’ll automatically have to pay care home fees. This is not always true. If you have health needs, no one should means-test you until you’ve been properly health assessed for NHS Continuing Healthcare. 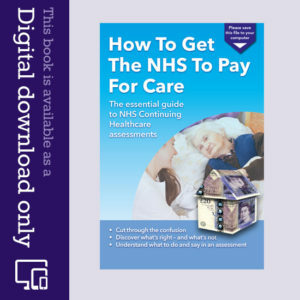 This is free NHS funding to cover care fees, and the care assessment is carried out by the NHS. If you’ve received forms from Social Services asking you about your money and assets, this will almost certainly be a ‘Section 47’ financial assessment. Make sure you read about NHS Continuing Healthcare first, before you divulge any financial information. 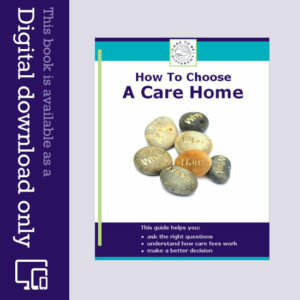 If you’re paying for care at home from Social Services (social care), the local authority is likely to have categorised your needs as one of the following: critical, substantial, moderate or low. However, many councils restrict care to those with ‘substantial’ or ‘critical’ needs only – and this could become even more restrictive as further budget cuts take effect. Some councils are also removing the cap on social care charges, which means they can now potentially charge higher fees. You may also find that your local authority shifts the thresholds between the different categories of need. If this happens you may be told that your category has changed (e.g. from substantial down to moderate). That could mean that you will receive less care – or you’ll have to pay more. Remember, though, that your local authority cannot change the level of care you receive without properly reassessing you. If you have any complaints about your care that cannot be resolved at local level, it might be worth contacting the Local Government Ombudsman. If you already receive ‘critical’ (or even ‘substantial’) care from your local authority, it may be worth asking for an assessment for NHS Continuing Healthcare, as you could have health needs that match the criteria for this care funding. Talk to your Social Worker or contact the Continuing Care Department at your local Clinical Commissioning Group (CCG) – formerly the Primary Care Trust (PCT).